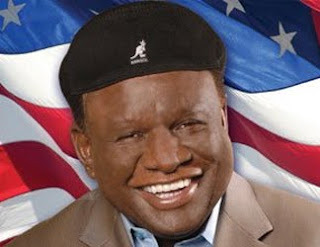 George Wallace has been selling out comedy clubs and concert venues all over the country and now we will be seeing him perform at the Flamingo in Las Vegas next month. Since we are big Seinfeld fans, it will be a treat to see him as he once played the doctor on one of the Seinfeld episodes: The Checks.George is also a big fan of Jerry Seinfelds, and the two have been friends for a long time. He is on the Comedy Central’s list of the 100 Greatest Standups of All Time, and started out in the joke business as a frequent comedy club standup in New York City, where he lived with close friend Jerry Seinfeld. In 1978, he moved to the West Coast and caught his big break when he was asked to be a writer for The Red Foxx Show. After a year as a writer, Wallace returned to the stage, touring all over the country and becoming a regular at the Comedy Store. He was named the Funniest Male Standup during the American Comedy Awards in 1995, and since then, he has appeared in numerous television shows such as Scrubs, The Tonight Show with Jay Leno, Hollywood Squares, and The Oprah Winfrey Show, as well as several films, including Mr. Deeds, Batman Forever, and The Ladykillers. In his show at the Flamingo, Wallace works the audience as he comments on media, relationships, and dialogue clichés. The crowd loves his famous “Yo Mama” and “I Be Thinkin” jokes, as well as his “People Say Stupid Things” bit, in which Wallace points out the stupidity of many popular phrases. Known as one of the few comics who can revitalize any audience, he also hands out prizes to audience members at every show, including CDs, DVDs, designer purses, dinners at famous Las Vegas restaurants, and more. Wallace also loves meeting his fans, taking photographs and giving autographs after every show. We're sure to have a great time and to tell you all about it!